The MetraFlow ultrasonic flowmeter from Titan Enterprises incorporates a chemically resistant Perfluoralkoxy Alkane (PFA) tube onto which are mounted high sensitivity ultrasonic sensors. There are no dead areas, changes in fluid direction or obstructions, just a tube. 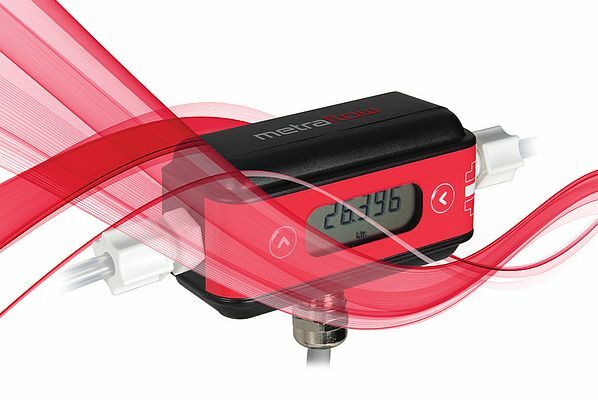 As a result - MetraFlow can make non-intrusive flow measurements preserving the cleanliness of your process. Applications including drug production, electronic device creation, medical research and food manufacture, require that a flowmeter has no inclusions or dead areas as this can lead to contamination issues for the liquids used in these processes.